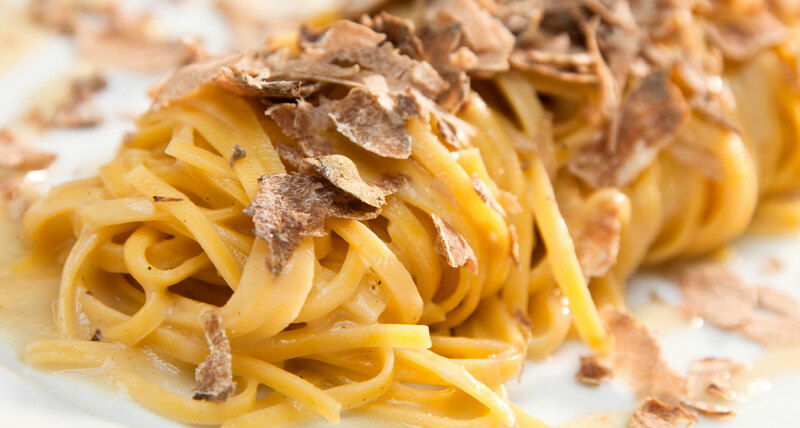 Discover a new black truffle menu from Norcia. Let yourself be tempted by beautiful dishes accompanied by this delicious truffle, which is recognized thanks to its fragrant smell of mushrooms and sub-Wood, and its side both fluffy and crunchy in mouth. Raw scallops with fennel and orange. Artichokes salade, puntarelle and anchovies. Beef carpaccio with celeri and parmesan cheese. Homemade cannelloni, three meats filling with cheese fondue. Homemade mozzarella ravioli, butter, sage and parmesan cheese. Liver veal fricassee with cèpes and polenta.